It’s been a while since I baked a cake. With all the food experimentation and analysis trying to get Hubby’s digestion sorted, it’s taken a bit of a back seat. 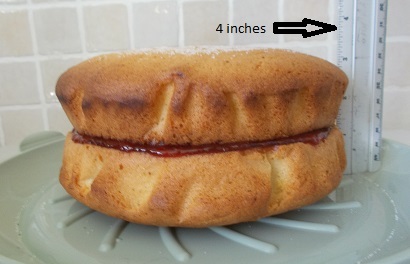 The last thing I baked was a victoria sponge, and it was really light. 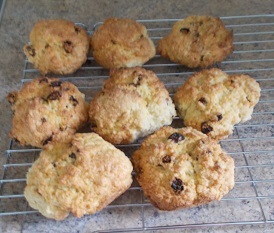 Hubby fancied cake the other week, but wanted to make it, so we settled on rock buns. This is an easy throw together recipe so as I stood by telling him what ingredients to add, he got stuck in. They tasted OK. 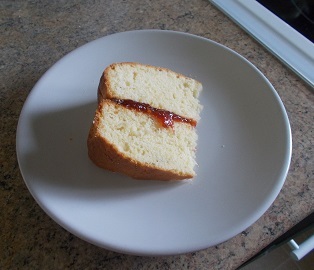 I fancied cake today, and asked if he’d like me to make one. He said some more rock buns would be nice, so while he was walking the dog, I did just that. I use less sugar because dried fruit these days seems too sweet. Rubbing in the margarine to the flour, once all crumbly I added my sugar, sultanas and eggs. I’d greased and floured two baking tins, and made 10 buns altogether, cooking them in the oven at 175 ºC – 180 ºC in my fan oven for 25 minutes. Official taster Hubby was soon ready to test them when they came out of the oven. Yep, 2 were gone by the time I got the camera. Just in case you were thinking of something other that rock buns, I was once asked what was the first thing I noticed about a guy. I replied it all depended on whether he was walking towards me or away. This entry was posted in diary, humour and tagged buns, cookery. Bookmark the permalink. the low sugar is good, but the fat content is high. My trouble is with flour and sugar. Much the same recipe as I use for my standby little cakes ( in cases ). I think I will try less sugar too. Sometimes I use glace cherries instead. Dried apricots are also nice.